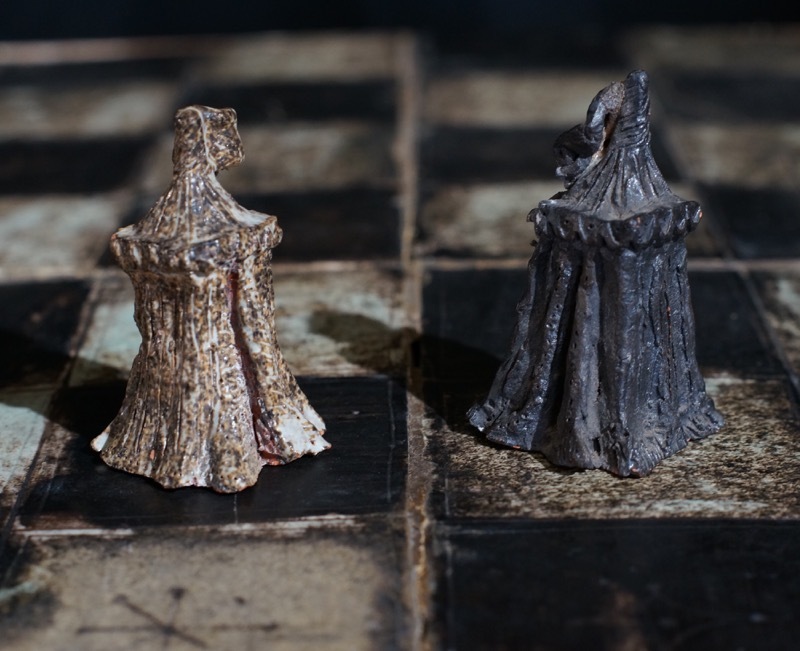 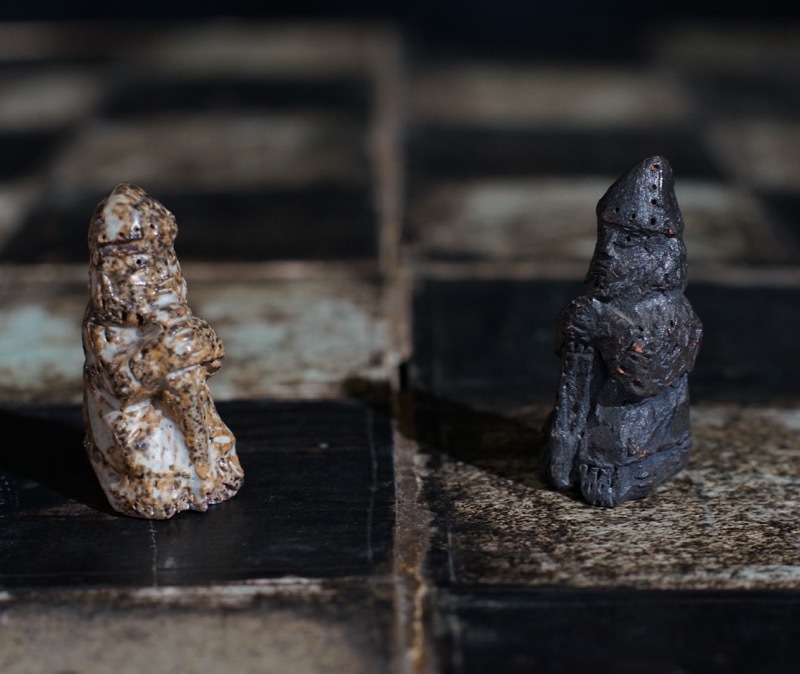 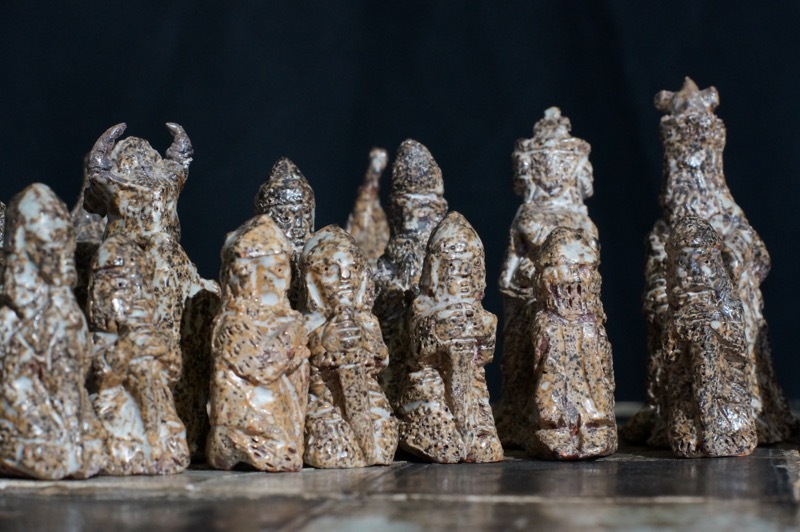 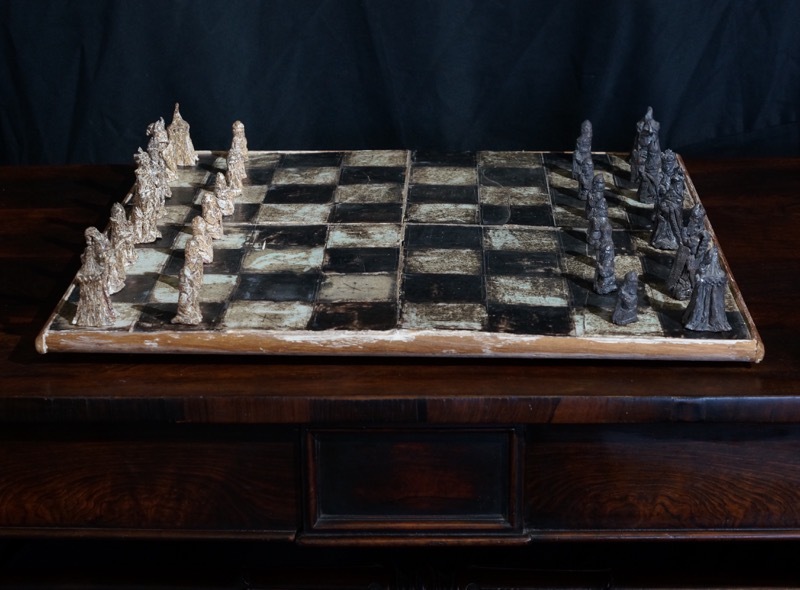 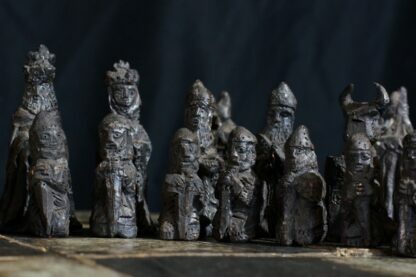 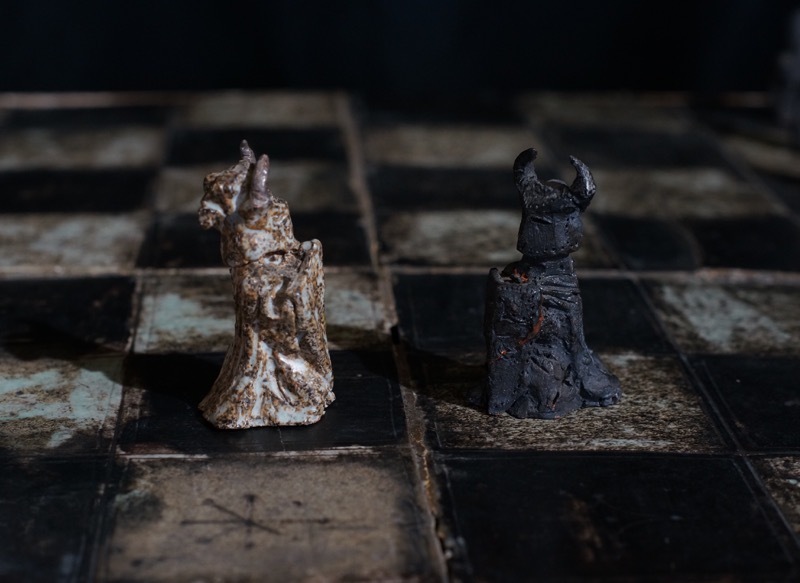 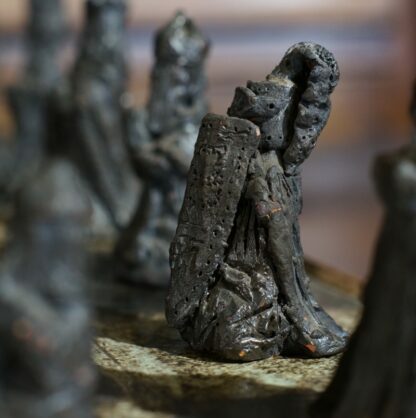 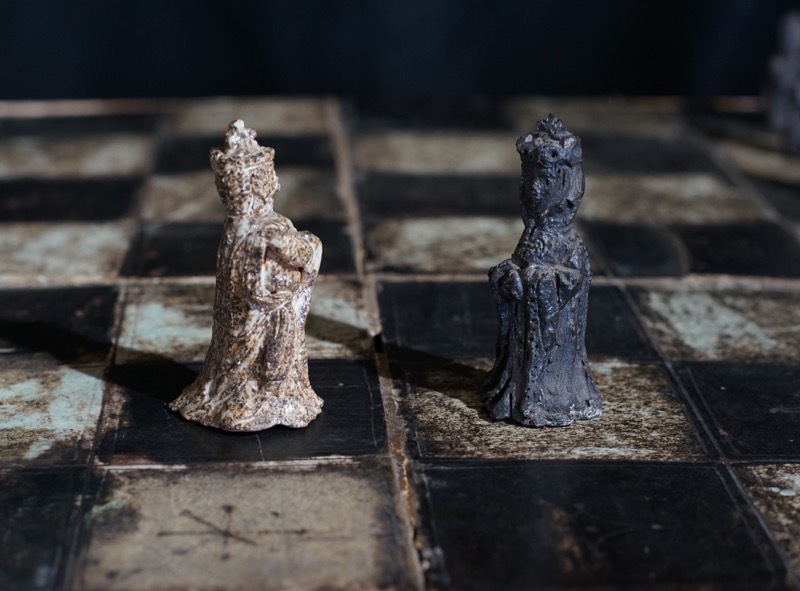 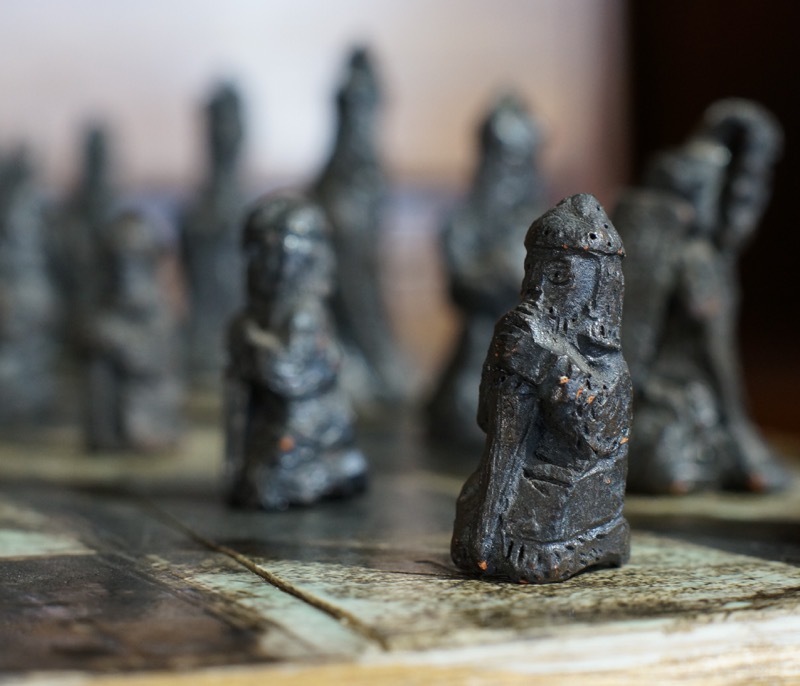 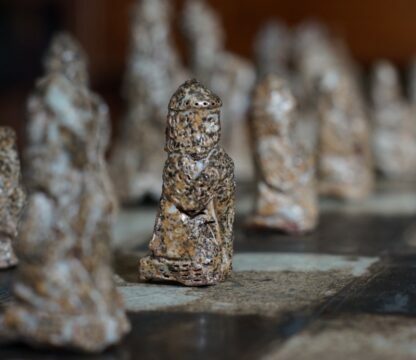 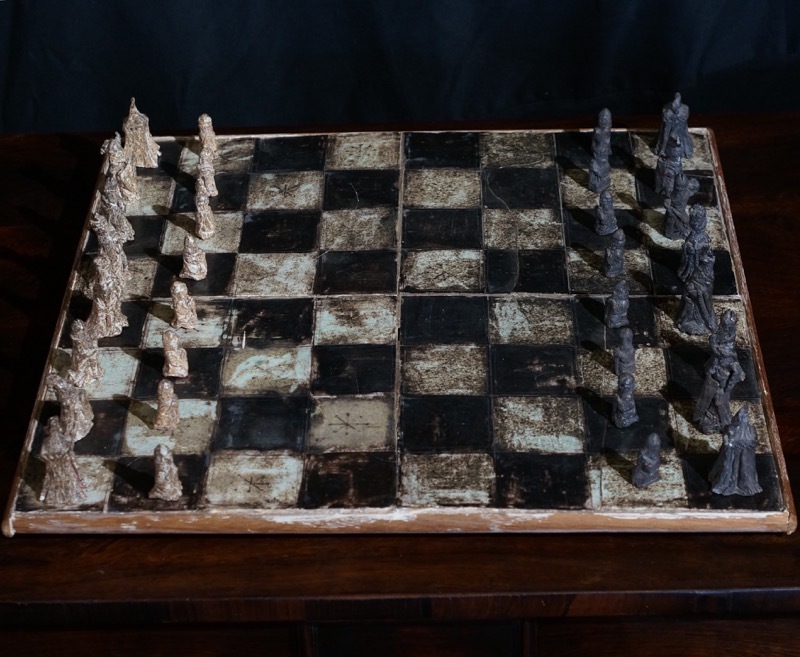 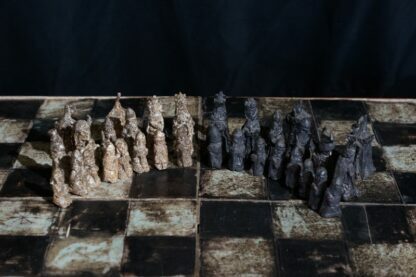 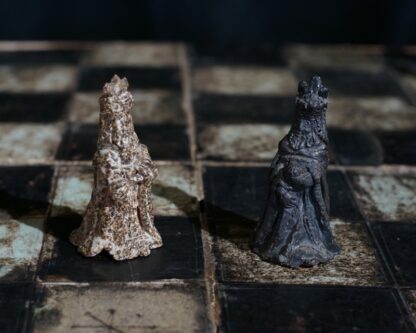 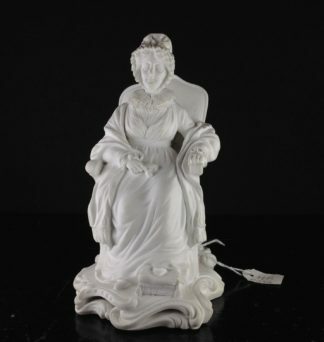 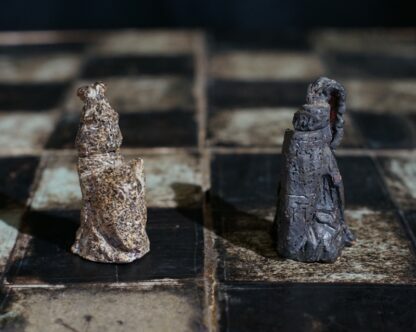 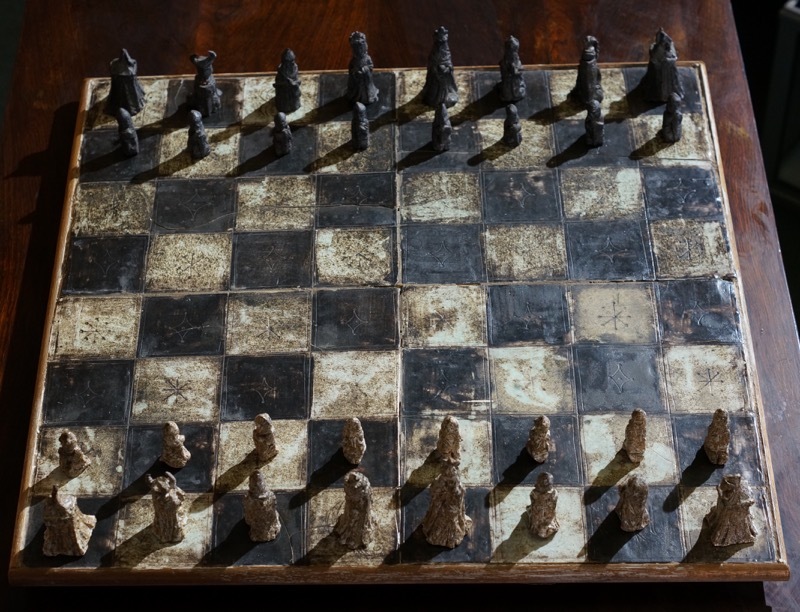 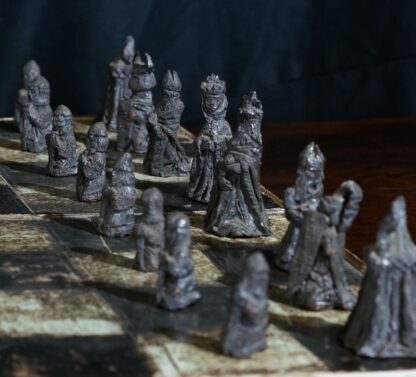 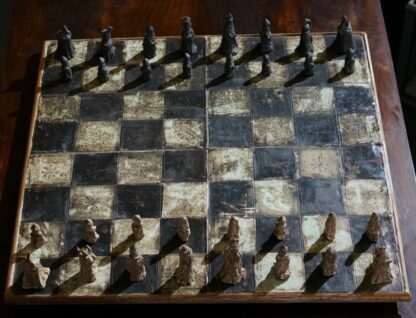 Important Australian Pottery chess set, by David & Hermia Boyd, modelled in an apparently unique ‘Medieval knights & warriors’ theme and said to be made as a personal present, David making the board inscribed with ‘K Q R’ etc. indicating the position for each piece, Hermia making the pieces with each having an individual character of its own. 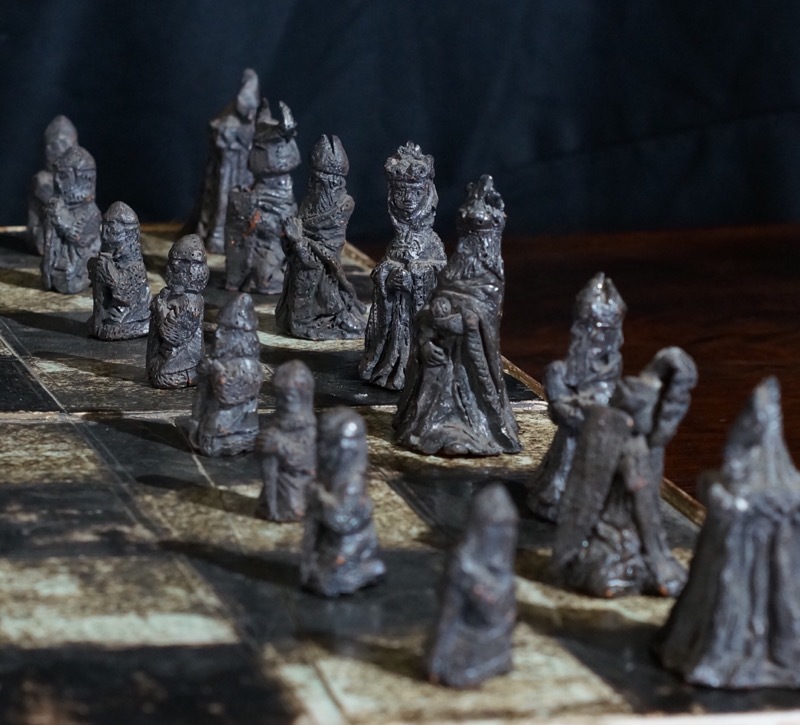 some minor flaws, ie chips to horns of some pieces, board with firing cracks to David.s tiles.